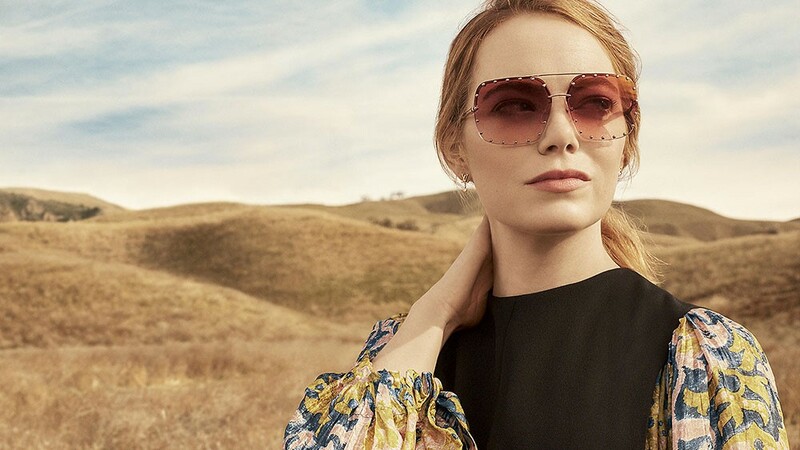 To mark the Louis Vuitton Emma Stone alliance, the French fashion house released the Spirit of Travel campaign featuring its newes muse.. The images shot by Craig McDean feature Stone in several floaty, floral dresses from LV’s Pre-Fall collection, designed by creative director, Nicolas Ghesquière. In several of the shots Stone clutches new season Capucines bags in front of the desert landscape – the images embodying a heroine who is daring, confident and always on the move. The discreetly elegant bag comes in two sizes, MM and GM, multiple colors and textures and its hardware varies between silver and gold.